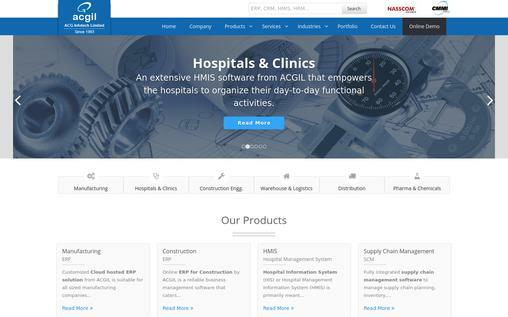 A hospital management system is a wide-ranging, integrated information system about a hospital. This system is designed to manage and master all the aspects of a hospital operation in a very organized way. It could be medical, administrative, legal or service processing. It also serves the complete package for managing all the functional areas of the hospital. It’s a very effective idea to organize all your wok including bills, revenues, outpatients, inpatients, emergencies, nursing, claims, and instrument details in a very comprehensive manner. Here’s a list of 10 most used Hospital management systems. 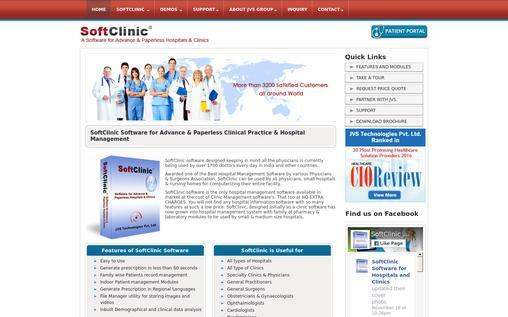 This is the featured software known for the advanced and paperless work in hospitals and clinics. This software is designed by keeping in mind all the physicians and is currently being used in India and other countries by over 17000 doctors. It’s very low price software that can be used in all types of hospitals or clinics, especially by physicians, cardiologists, paediatrics and ophthalmologists. Billing and account manager for accounting needs. Adroit is a hospital management system which is designed to manage all the aspects of hospital operations, especially OPD management, IPD management, discharge summary, patient registration, appointments, HR/payroll and corresponding service processing. The services will take a proper care of emergency charge, night charge, an age of a patient and other parameters while calculating the rate of services for a particular patient. It assigns every patient that is admitted to the hospital, a unique patient ID and works according to it. It is powered by superior technological skills for the excellent and quality framework. This software is best known to double the output on just half budget as compared to market price. It has a dedicated infrastructure to provide services as per the requirement. Practo is a healthcare company founded in year 2009. It is designed to assist millions of patients in finding and booking appointments with doctors or thousands of health providers. It is even used by doctors to manage their practice, the software is known asPracto Ray. It can only be operated in mobile we, IOS or android operating system. They aim at helping mankind in living healthier and longer. Practo also designs software to help healthcare providers like clinics or hospitals to digitize and deliver more efficient and high quality healthcare around the world. It is a powerful and user-friendly application that supports easy multi-speciality hospital software, nursing home, polyclinic, medical shop, pathology. It delivers excellent services and solutions across the healthcare industry. It safeguards the flow of information coming across and provides efficient decision making for patient care. This application excels at reduction of errors at transcription and duplicity of information. It contributes to the overall growth and developmentof the hospital. It is loaded with a numerous features such as pathology, radiology and other modules like ambulance management, dietary plan, housekeeping, pharmacy, financial accounting, vaccination etc. It is a web-base EHR (Electronic Medical Record) that helps multi-speciality hospitals. It is an exceptional answer for a circle of relatives of pharmacy or laboratory modules to be used by hospitals constructed with the idea to survive in a long-aid term. It excels at maintaining the history of a patient, examination reports, records, undergoing treatment etc. It also keeps a track of drug store, ward details, admissions, discharge, surgery details etc. It not only keeps a track of the inpatients and outpatients but also the staff that is joining the hospital and resigning from the hospital. Important testimonies which are being probably created through this database is printable billing, hospital annual turnover, physician’s rating etc. This is advanced software for doctors, physicians, medical practitioners, multi-speciality hospitals and small clinics in India. 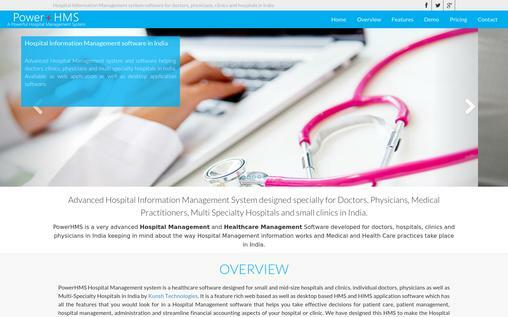 It keeps in mind about how the hospital management information works and medical health practices take place in India. You can take effective decisions for patient care, patient management, and hospital management and makes the work as paperless as you want. This software is user-friendly and time-saving. It can be accessed on mobile, tablets, smartphones, desktops and laptops. This application seamlessly integrates, works with any device and makes it fun to use. You can have the access anywhere. Be in touch with the hospital records, prescriptions, schedules, surgeries and even OPD/IPD case papers from anywhere in the world. 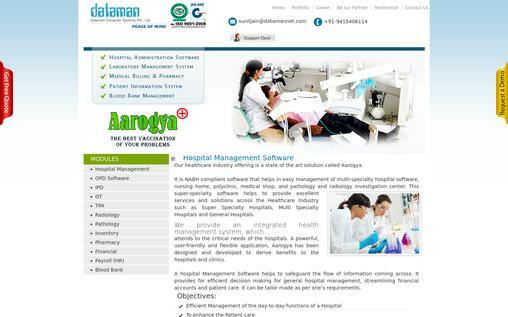 This software is hospital management system software which aims at making a hospital system paperless. It includes clinical, bank office and generic activities of all activities. 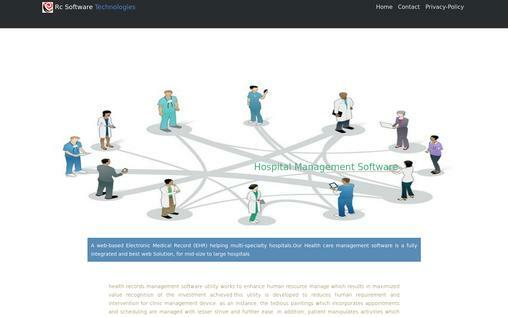 It integrates all the resources of the hospital into one integrated application. The mechanism of this software keeps a track of exceptional capability of handling inpatients, emergencies, clinical surgeries, or other patient cases. With this software in hand, you can keep a control and make quick decision through mobile and hand set support. This software automates the work flow, manages the storage and retrieval of information centrally and render the hospital paperless. 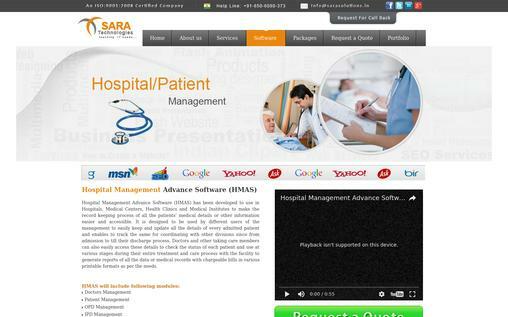 This software is followed by Hospitals, medical centres, clinics etc. To make the record keeping process of all the patients’ medical details or other information easier and accessible. It is designed to be used by different users to easily keep, edit and update all the records of every admitted patient and allows keeping a track and coordinating with other divisions from admission to the process of discharge. Doctors, nurses or any other concerned person can have an access to these details to check the status of each patient and use them at various stages. You can further generate medical records with chargeable bills in various printable formats as per the need. 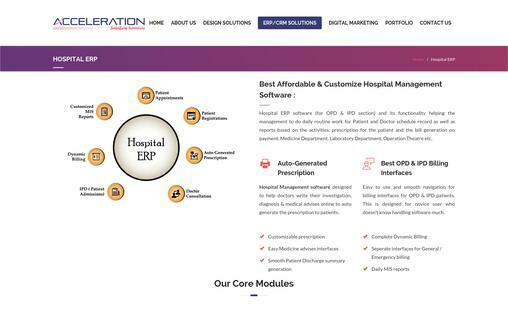 This software is the best affordable and customised hospital management software (for OPD and IPD) section. This functionality of this system helps in management to do daily routine work for patient and doctor schedule work record. Payment method, bill generation and processes involving laboratory department are easily handled. 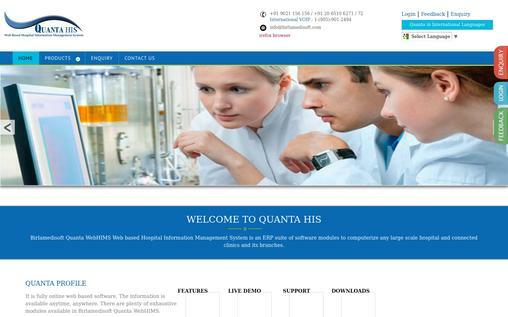 It involves easy and smooth navigation for billing interfaces for OPD and IPD patients. It also had a medicine management module in which selling and purchasing of medicines is a major highlight. You can have an access to the available stock of medicines at any current time. You can also configure and manage multiple departments according to a particular management system and further process in settings. This is a complete web-based software which provides you information anytime, anywhere. It can be used in Eye hospitals, Gynae hospitals, Industrial hospitals or even medical colleges. All the information related to fee, admission, surgeries, emergencies etc. Is recorded inside the software. It has connected clinics and branches in various areas. 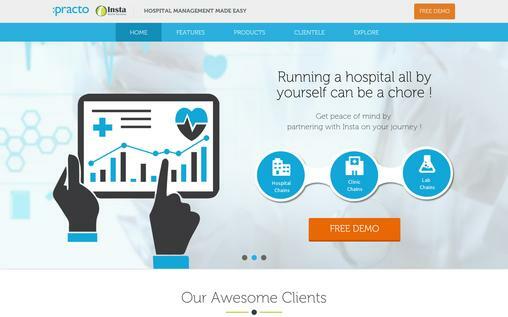 It shows up the improved response of a patient, cost control and even profitability. This application seamlessly integrates, works with any device and makes it fun to use. You can have the access anywhere. Be in touch with the hospital records, prescriptions, schedules, surgeries and even OPD/IPD case papers from anywhere in the world. 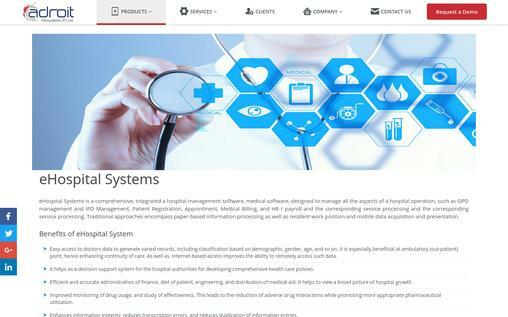 This software makes all the work of a hospital paperless and integrates the entire resources of a hospital into one integrated software application which we term as Hospital management system. The software helps as a decision making system for the hospital authorities for developing comprehensive health care policies. Under the guidance of healthcare intelligence system, hospitals, clinics and other medical institutions keep a track of all the processes and can make easy, quick and efficient decisions though software.